The sun came out, specially for our plucky little group! Louie was entranced by some birds we ran across, watching them move in fascination and complete focus. 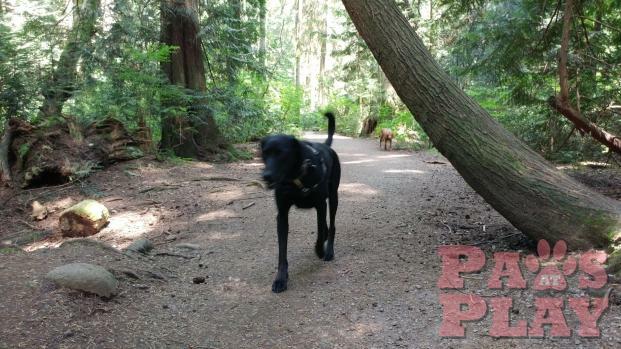 Ellie wiggled and waggled across the forest floor, finding the best sticks and daring the other dogs to play tug of war. 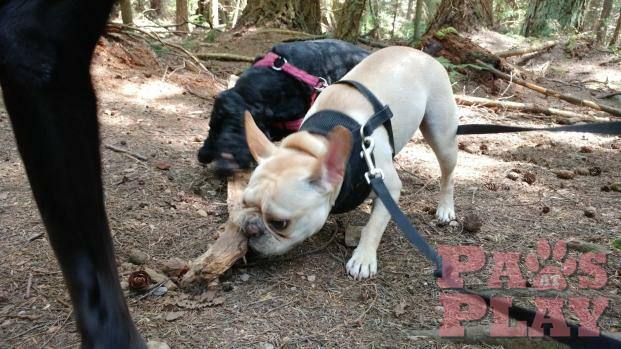 Oliver unsuccessfully tried to get her stick and then scampered to a tree and began tugging at a root, causing Ellie to go over and try and take it from him. 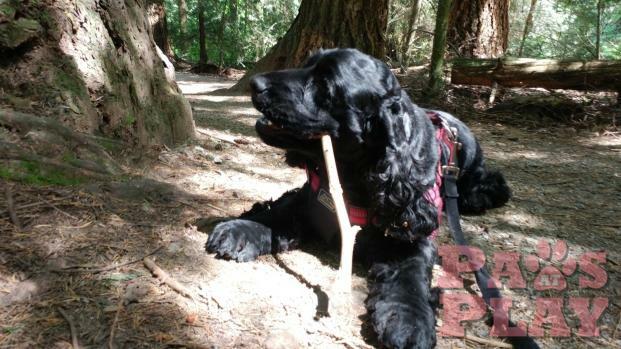 While she was unsuccessfully trying to uproot a tree, Oliver went back and picked up the stick she had been hoarding. I'm not sure if that was intentional but that was a good one, Ollie! Max and Scout scouted to the max, roving around our group through the trees. Pepper was following the trails of a ton of small and interesting creatures through the plants and tall ferns.